When we talk about eating foods for their specific health benefits, many people think simply eating the food is enough. For instance, if you struggle with inflammatory bowel disease and have read that turmeric is effective in healing many digestive issues, you may simply get a turmeric (curcumin) supplement to start taking. But you would be overlooking one crucial fact about turmeric that could mean the difference between simple consumption and full-absorption. That fact: turmeric is fat-soluble, and you want to be able to absorb is magnificent food to experience all of the health benefits it has to offer. When something is fat-soluble, that means it dissolves in fat. Without fat, the active component in turmeric, curcumin, has a difficult time making it past the stomach, into the small intestine, and into the blood where it can offer the greatest benefits. In order to make the most of turmeric, you must take it with a bit of fat. 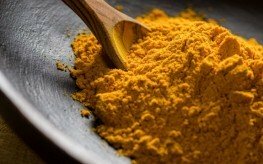 With curry (where turmeric is most popular), your body is able to make the most of the curcumin because there is usually some oil in the recipe. We can learn from this by trying to take turmeric as part of a healing synergistic whole—one healing piece of an overall healthful meal. But even when curry isn’t on the menu or when you simply want a “hit” of curcumin, you can use it’s fat-soluble qualities to ensure your body makes the most of it. Golden Milk Tea, sometimes referred to as only golden milk, is an ancient way of experiencing the benefits of turmeric with helpful fat included. While there are many recipes for golden milk, they usually involve dissolving a paste of turmeric and water into a small cup of milk and coconut oil. Remember to use high-quality organic turmeric in the milk preparation. Also, as NaturalNews reports, you can prepare the paste in advance and keep it in your refrigerator for weeks. Consume turmeric or curcumin with black pepper. “Adding black pepper to turmeric or turmeric-spiced food enhances curcumin’s bioavailability by 1,000 times, due to black pepper’s hot property called piperine,” says nutritionist Stacy Kennedy. A little fat plus a little turmeric equals a whole host of health benefits. From reducing blood pressure and inflammation to preventing Alzheimer’s and treating depression—making the most of this beautiful root could have immeasurable positive effects on your health. I just discovered that turmeric was fat soluble. I don’t find this very palatable but will now mix with heated coconut oil. I have the large Tumerix x powder but it states 19g sugar per 100g. That seems a lot of sugar?? does anyone know about this? What do you guys think about just chopping up the tumeric root and swallowing it like pills with water?? Would mixing turmeric and black pepper in a small amount of full fat milk help the ingestion of its properties. I’m trying to figure out exactly how much I should be using. For example when I make spagetti I have been putting it in my hamburger along with the pepper. I usually put in about a teaspoon. Should I be using more or less or is that about the right amount? 1. Will taking black pepper seperately along with circumin tablets have the same effect as taking circumine+piperine tablets? 2. Can we take 3g of turmeric powder along with 1g of black pepper everyday with same effectiveness as in question 1? Best ever when taken 15 minutes before meal. Recommend add this Turmeric as good recipe for healthy lifestyle. Give protection for any illness na medicine and drink in one. For Me drink 2×d 15 min before meals in powdered turmeric with coffee in hot. Apologies if this is a bit long but basically what I want to do is have a one size fits all smoothie which covers me for after the gym as well as for general well being and I wondered if anyone sees any issues having the ingredients below altogether, for example if there are 2 ingredients in there which shouldn’t be used together as they might nullify each other’s benefits. Is this smoothie going to be too ‘busy’ or am I still going to get all the benefits from everything as long as I mix the turmeric powder/pepper in the coconut oil before adding to the rest of the ingredients? I’m not a doctor but here’s my 2 cents. All sounds good however I would start by taking just a little bit at a time. Die-off may occur. Toxins may be released. Take a bit at a time for a week or two. Then increase every week or two. Don’t be in a hurry. Let it work before increasing. If you do have a problem just begin to eliminate an ingredient at a time. I have been really happy with the turmeric supplement I take. However, I do like to incorporate turmeric into my cooking as much as possible to boost the anti-inflmmatory benefits I get from it. This article was full of really helpful information. As someone who has issues with chronic inflammation, I am trying to source as much information as I can about natural anti-inflammatory remedies. I have to say that choosing turmeric as an anti-inflammatory supplement has really helped to reduce inflammation throughout my body. I have much less joint inflammation than before. I’m happy to learn about other things that I can use to make turmeric even more effective. Can I mix Turmeric and black pepper with coconut oil and make gel caps for daily consumption? Pardon me, but what’s with the black pepper? Has black pepper been sold on television programs? Black pepper is hot stuff, and hot to the body – not necessarily so great in continuous concentrated amounts, right? Why not just put pepper on your food, and in limited quantity at that? I am taking a 500 mg turmeric supplement (capsule) by taking the pill, and then quickly putting probably a half teaspoon of olive oil on a plate, grinding about 8 turns of pepper into the oil, and sopping it up with a small piece of bread. So I’ve got all the important components for optimal absorbtion..but now after reading, am wondering if I have to actually dissolve the turmeric in the oil/pepper first before taking? Also, has anyone experienced any numbing after a few days of taking, to the face and/or back of skull. I could just need a chiropractic appointment..
Golly, you’ll have an ulcer worrying about it before it does any good, but I completely understand where you’re coming fromt. That is far too much pepper, it would cause havoc with your digestion. Black pepper should be used extremely sparingly because it *is* an irritant, only a tiny amount of ‘piperine’ is required and according to studies it never works as well as the oil carrying mechanisms. I use less than 1/4 of a flat teaspoon fine ground black pepper per 200 grams (approx 40 heaped teaspoons) of tumeric. I used to take 1 heaped teaspoon of tumeric mixed into a gulp of milk twice a day which worked OK. I have a new much more effective preparation, which is cheap and all food safe – 100g of tumeric heated in 100g coconut oil on medium heat for 10 minutes. Add two heaped teaspoons cinnamon powder, 1 teaspoon of ginger powder and a single pinch of ground black pepper. Take off heat and stir in 100g Tahini (sesame paste). Take 1 or 2 teaspoons of that paste twice a day. Personally it works amazing. All the best. Hi, I’ve just learned that turmeric is fat-soluble. That being said,which way will I get the best benefits? 1) Adding all ingredients, including my ground turmeric and coconut oil, to my Vitamix and blending together? 2) Dissolving the turmeric in some melted coconut oil first before adding it to my smoothie? Or does either way work? Turmeric and honey for cough. I hear the cooking tumeric kills curcuminoids. Others say you can’t get the Curcumin without cooking tumeric first. Can any one help with thus please? ~ There is a powerful mixture I would like to share with You ! *** This is a recipe that is powerfully anti-cancer as well as a powerful treatment for Alzheimer’s, Aspergers Autism, Arthritis, Parkinson’s disease…..and a multitude of other ailments ! Turmeric is one of the best anti-inflammatory Medicines..as, as well as a great anti-depressant …in fact, Turmeric has more benefits for the body that almost any other substance on Earth ! *Cayenne Pepper and Turmeric are the King and Queen of all spices, and are a most powerful medicine !!! * Coconut oil has numerous and incredible benefits for the body ! *Blackseed has been called ‘ The cure for everything, except death’ Eaten as a seed, or even better in oil form, Blackseed, aka Black Cumin (Nigella Sativa) has a multitude of benefits for the body and helps with virtually every condition !..adding 10% of the quantity of Turmeric in Ground Black *Pepper will boost the effectiveness of the Turmeric by 2000% ! The Piperine in the Black Pepper will help carry the Turmeric further through the digestive tract, thus making it more effective, for longer. Also, adding pepper to most natural medicines, will take them through the digestive tract a lot further, and so, you get even more benefit from that particular plant medicine ! * Cayenne Pepper is one of the best boosters for the immune system…and a few drops of Cayenne Pepper in water – applied * under * the tongue – can stop a heart-attack immediately !!! ~ Many people in the US carry a small bottle of Cayenne Pepper in water with them, for this very purpose ! ** If you are cooking this mixture longer, you can add Garlic and Ginger ! This mixture can be added to any soup, or virtually any dish. It does not require cooking, just warming ! It is dee-lish and has a combined benefit for the body that is powerful against any condition, and of course, as a preventative ! Can I use this recipe in gel caps to consume daily? Ginger is 1000 times hotter than pipperine with regards to heating up the digestive system for improved absorption. It also tastes better with foods that incorporate turmeric, including your tea. I use almond milk as a base and mix a little melted coconut oil. Steep a green tea bag and add a dash of cinnamon. Delish! DO NOT GIVE SOMEONE CAYENNE PEPPER WHEN EXPERIENCING A HEART ATTACK. I believe in herbalism and its powers, but I do not believe in herbalists. If you give someone cayenne pepper (capsaicin), whether in a pill or water or a cream, it can make the body release adrenaline, thereby speeding heart rate and cause damage to tissues. Plus, if the person if on a blood thinner, it can be incredibly dangerous and cause uncontrollable bleeding. * Btw, you say…”Plus, if the person if on a blood thinner, it can be incredibly dangerous and cause uncontrollable bleeding.”…..and then you suggest Aspirin…..? Phillip – just reading this now – wish I had read it 3 years ago when you posted. Thank you so much. 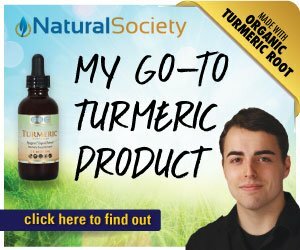 I’ve been using turmeric 500 mg 3x a day with olive leaf extract. It has done wonders for me. I had super aggressive RA when I started out, but think I’m now in remission (I hope). I’m going to add your suggestions to me regimen and see how it works for me. Thank you again. Could be what I’ve heard referred to as a “healing crisis”. Maybe your dosage was too high? When I first started with my turmeric juice, I was really, really tired and felt run down for a week or so. Pain is no “healing crisis.” It is pain. In a healing crisis, symptoms can become worsened temporarily, but if there is pain – I sure wouldn’t mess around. But what a thoughtful comment. You’d really have to say under what conditions you were using the turmeric – when were you taking it – with any foods – what do you eat during the day. You say you had “pain.” Stomach pain? Muscle pain? As to the black pepper – black pepper is pretty caustic stuff. Just using pepper normally in foods should be quite sufficient – not taking pepper tablets or capsules. Check to see if you were using organic turmeric or not. Some people react to the phenolic compounds in turmeric and other spices. It’s quite common in people with autism or Asperger’s and for us the solution is supplementing the sulphate in the bloodstream by bathing in Epsom salts. Excellent article and excellent comments! I took half a can a beans with half a can of mushrooms. Warmed it up, added in turmeric, lots of pepper, cinnamon, cloves, nutmeg and for the fat I used flax seed. I liked it a lot. It was quick and cheap. I would put too much of these spices in though. Powerful stuff typically gets toxic easily. Unground flax seed isn’t going to provide significant oil-carrier for the turmeric. Really, the stuff should be stirred into a teaspoon of your favorite oil first. Does anyone else find that turmeric makes their heart race? I take one teaspoon of turmeric along with dry ginger powder everyday..will this combination help better absorption of turmeric by the body? this is only a problem if you take dried or powdered turmeric. if you consume it raw and fresh or juice it, you will note that it already has oil in it. I use Turmeric in just about everything that I eat. Stop worrying about the taste. You’ll get use to it. Be more concerned for the goodness of Turmeric and all that God has given to us. Well maybe if you weren’t a homo you wouldn’t have gotten all those diseases. Also God did not do anything to your parents. Your parents left you at the orphanage because they knew how awful of a atheist troll you would turn out to be. I hope you`re not claiming to be a Christian, because by your ignorant, sociopathic comment, you`re FAR from it! When you are born moron you, hide behind your mother and call others whatever you and your family deserve. Well maybe if you weren’t a fag-got you wouldn’t have gotten all those diseases. Also God did not do anything to your parents. Your parents left you at the orphanage because they knew how awful of a atheist troll you would turn out to be. downvoted for overly unnecessary rudeness. I was healed with Turmeric form the worst MRSA you can ever imagine all over my body. I took it just in a glass of water with black pepper 3x a day for about 6 weeks. MRSA is a Superbakteria which is resistent to almost every Antibioticum.. just do your research on it. Excellent. Black pepper is a powerful herbal synergist so it increases the effectiveness of the tumeric (see Herbal Antibiotics by Buhner). Much information in the book about MRSA treatment. Can you give an approximate amount you used in your water? Whats the point of the extra step of dissolving the turmeric in oil before you add to smoothie? Won’t it all get mixed up in blender ? Circumin is fat soluble. It will allow you to absorb the beneficial parts of Turmeric better. But the milk naturally has fat in it. Isn’t that enough? Why the extra step? The oil step will insure that 100% of the oil-soluble components will be taken up. Otherwise much of it could float around indefinitely in the water phase and be lost to bioavailability. Butterfat globules in milk are surrounded by a lipophobic exterior, repelling oil-based substances. Thanks. Is that lipophobic layer also present in yogurt? Ummm. Not all smoothies contain milk. People who are looking to be healthier usually make their smoothies with fruit and/or vegetables. Thank you so much for this info,I am suffering from digestive problems and have turned to natural healing remedies. Well I juice it every day in my green juice with not fats. Does this mean Im wasting my time? Blend some avocado into the juice+turmeric mix. Green smoothie with good fat. Does mixing with olive oil work ?? As I have this on my daily salads. yes, any kind of oil/fat will help… also it is better if you use also black pepper. It helps the absorption faster. It is crucial to take the turmeric at the same time as the oil and the pepper. Put 1 teaspoon of turmeric along with some ground black pepper and ground ginger in a shot glass. Pour a little oil (I use almond oil) on the mixture and stir. If you wish, you can do this twice a day. I do use everything organic. Will red pepper work too? My blood type says to stay away from black pepper as it is too acidic. Red pepper is alkalinizing.